So a few weeks ago I was contacted by Matt from "Enjoy The Ride" . 0.4 ---- The man has shirts!!! Love the blogshirt. 2. His wife is amazing. 3. He is raising money for an awesome cause. He is completing his first Ironman in November. He is using his blog to raise money for an orphanage in Haiti. [Hands and Feet Project]. PLEASE check out this post from his blog. He is EVEN doing some incredible giveaways!! i love this! 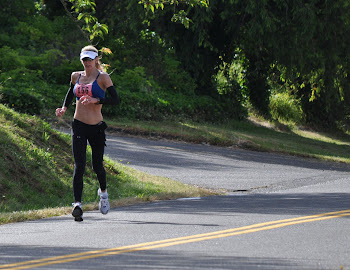 awesome blog for a cause and of course, a triathlete!! Great shirt! I've seen these Run EMZ shirt around, but never knew where they came from. Kevin Neumann @ Ironman by thirty was wearing his at Steelhead 70.3. I'm your newest follower, and I might just have to get one of them shirts for myself!